Studies have shown that 70-80% of employers hire people through individual outreach or employee referrals. That makes it critical to get to know people in the companies you are targeting. Find out if your family or friends know anyone at these companies or attend events at which the company has a presence. Using social media tools is a powerful way to build relationships by expanding networking opportunities and forming new connections. Employers are checking the social media accounts of prospective employees more than ever. Avoid these social media blunders to help you land your dream job. Your cover letter and resume are often the first impression employers will make of you, so it is critical that both reflect the best you have to offer. A well-constructed resume and compelling cover letter can make the difference between getting your foot in the door and being just another name in the pile. Read the instructions and the entire application carefully before you start to fill it out. Write legibly, using a blue or black ink pen. If you have bad handwriting, consider typing your application. Include only positive information on the application – but do not claim to have experience or skills that you do not possess. If a question does not apply to you, indicate with a N/A or dash. Otherwise it may appear to the employer that you missed the question. Allocate the most space on the job application to include applicable and pertinent information about yourself. Answer honestly, but do not share more than the question is asking. Apply for a specific job(s). To indicate you would be interested in other jobs besides the one you are applying for, write the job title followed by (or "similar position"). Go into every job interview prepared. Sites including CareerOneStop and Career Builder can help you prepare. Know some background on the company or business to which you are applying, including any recent announcements or mentions in the news, names of people in key leadership positions and any other relevant background. Also be prepared to answer questions about why you are applying and what you would contribute to the company or business. Always dress professionally, arrive on time and bring extra copies of your resume with you. What do you want to do? What skills do you have? What other skills might you need? Do you know which location you want to work? This is especially important if you are looking to change professions or fields. Do you need to continue your education? If you don’t know exactly what you want to do, now is the time to explore different opportunities. Choosing a career can be based on many factors. A good match of interests and talents with employment is important and would make for a fulfilling career. To aid in this selection, there are many interest and aptitude profilers that will offer suggestions such as My Next Move's O*NET Interest Profiler. Other great ways to explore career options is talk to career counselors, attend job fairs and career events. Early exposure to a variety of work situations can help assess what environment best suits you. Be clear on your job expectations, and be honest with yourself. Know if you would like to work with people, animals, or information; whether you like routine tasks/duties or prefer constant change (or a combination of both). These are great things to know before you accept a job. Pathfinder is an online career planning tool. The tool can help you to make informed choices about educational and career options, as well as to help with creation of educational development plans. This free tool uses current labor market information, longitudinal wage data, and other institutional data and metrics, allowing improved skills-matching to career paths and jobs. After you determine what it is you want to do, make a list of 30-50 companies that hire people to do what you want to do and are within commuting distance. If you have been laid off in one industry, see where other industries have overlap with the skills you already have. Or if you are looking for a career change, it will help you determine which skillsets you need to obtain through job training or internships. This information will help you target your job or career search and provide a starting point for setting up informational interviews. LinkedIn is a professional networking tool that allows you to connect with past and present colleagues and classmates, as well as form new connections that can help you in your search for a new job or business opportunity. This networking tool can help you find people with common interests. 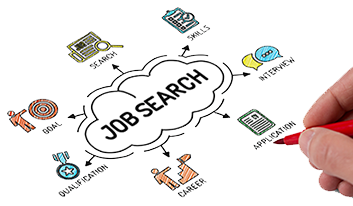 Use Twitter to help in your job search by following employers and job sites that post openings. Join Job Clubs at your local Michigan Works! agency. There are more than 100 Michigan Works! locations in the state connecting job seekers with employers and providing career services. 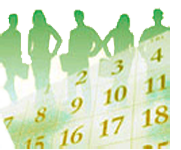 Attend networking and informational events. Look into programs that bring together workforce development partners, faith-based organizations, community organizations, businesses and government agencies. Make business cards that summarize what you want to do. Volunteer, intern or job shadow with someone to get relevant experience. Most people experience a career transition at one time or another. Take advantage of resources and view this as a time to evaluate your skills and to find an opportunity that will be a wonderful fit. Sign up to receive a bi-weekly newsletter with valuable information to help in your job search, including listings of in-demand jobs, featured employers, and news items. Create an account to: personalize your profile, search for entry-level & internship positions, and become more visible to top employers.